Rhona K. Baingana is a nutrition scientist with expertise in laboratory-based tests for the assessment of vitamin A and iron status. She has provided technical support for several micronutrient surveys including the Zimbabwe Micronutrient Survey (2013), the Tanzania Demographic and Health Survey (2010), the Uganda Demographic and Health Surveys of 2011, 2006 and 2016 and for research studies including the HarvestPlus Evaluation of the impact of introducing beta-carotene-rich orange fleshed sweet potato (OFSP) varieties on micronutrient status of women and children in Kumi, Kamuli and Nakasongola Districts, Uganda (HarvestPlus) and The Mama SASHA Kenya Agriculture and Health project. She therefore brings skills in the quantification of retinol-binding protein, ferritin and soluble transferrin receptors in human serum and dried blood spots using enzyme immunoassay and in the interpretation of the results. 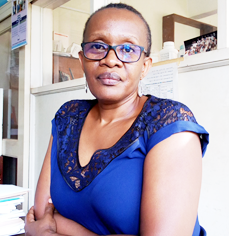 Ms Baingana’s other interest is body composition, diet and physical activity where she is collaborating in two studies in school-going children in Kampala, Uganda. She also has experience in the assessment of body composition and breast milk intake using deuterium dilution measured by Fourier Transform Infrared Spectroscopy (FTIR).